in women who flossed with Oral-B Glide compared to those who didn’t. Most dental professionals recommend flossing after meals, or at least once a day, to protect against plaque and periodontal disease. But a recent article in USA Today lays out some stunning information from a new study that found higher levels of the PFAS (perfluorohexanesulfonic acid) in women who flossed with Oral-B Glide compared to those who didn’t. The study showed that certain types of floss may actually be exposing you to potentially toxic chemicals and severely impacting your health! PTFE (polytetrafluoroethylene) is one of the Per- and Polyfluoroalkyl Substances (PFAS), which are said to have toxic effects when ingested. Many popular dental flosses, including Oral-B Glide and others, are made from PTFE. The Centers for Disease Control lists floss, stain-resistant carpet or furniture, certain non-stick cookware, fast-food wrappers and microwave popcorn bags as potentially containing PFASs. The EPA warns that exposure to PFAS can lead to adverse human health effects. “The good news is, based on our findings, consumers can choose flosses that don’t contain PFAS,” Boronow said. 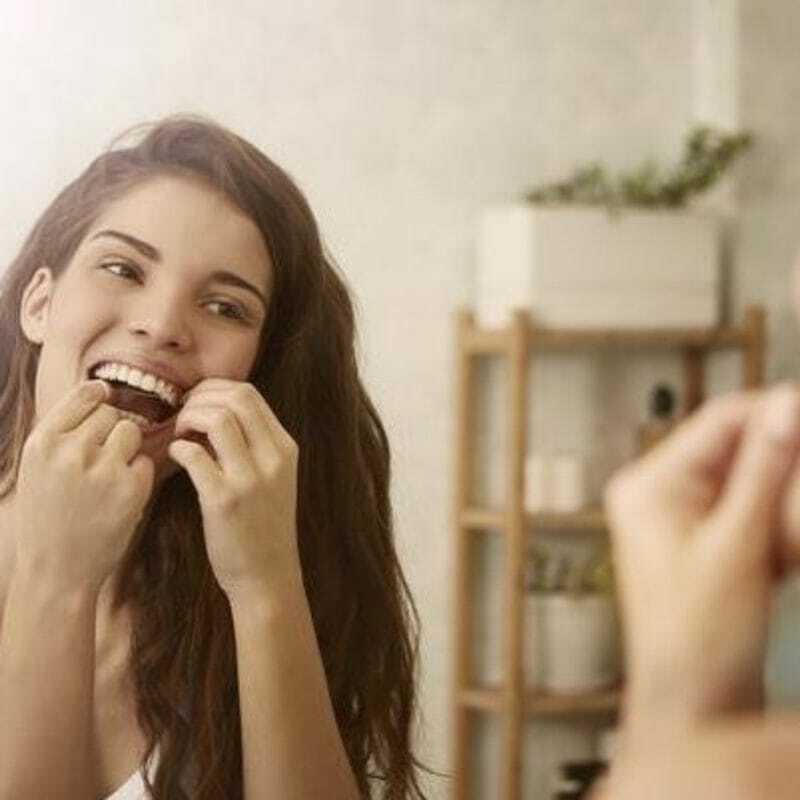 And this is why Dr. Tung’s is sharing this information with our readers—so that you can be fully aware of these potential health risks when considering your floss options. 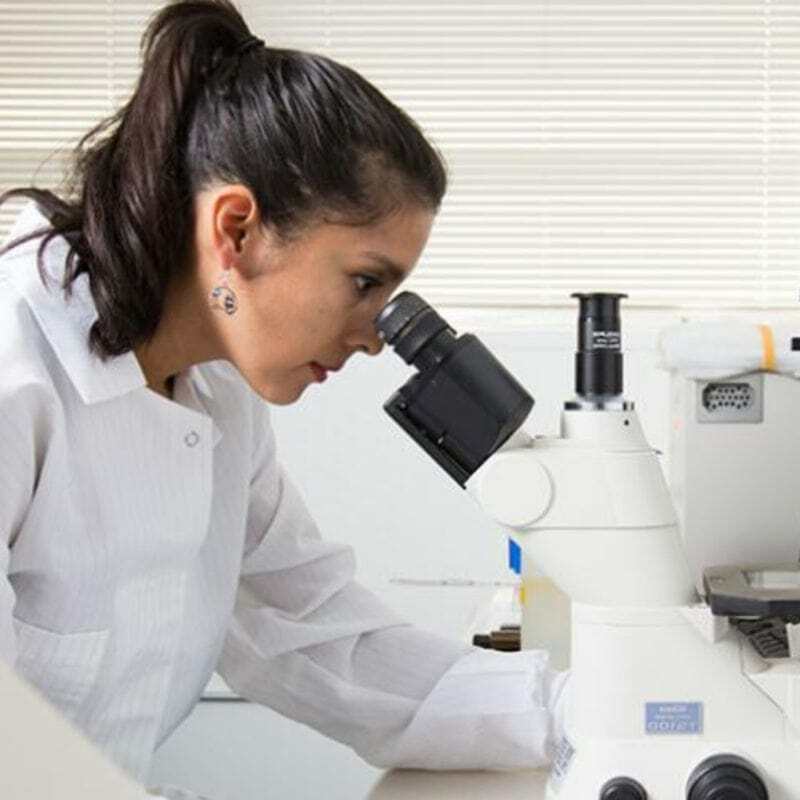 As many know, our company is based on a deep understanding of the mouth-body connection recognized in the science of Ayurveda. And we offer innovative, eco-friendly and extraordinary oral care products to contribute to improved overall health, enhanced well-being and a happier balance in life. Aside from potential health risks, the non-stick quality of PTFE flosses such as Oral-B Glide doesn’t do a great job of removing plaque. (Which is the prime reason for flossing!) Although the material easily slides up and down between teeth, it is in fact also the worst performing floss as far as plaque removal goes, according to our detailed research study. If you are using another floss brand and are not sure whether or not it contains PTFE or PFAS, here a simple way to know. If it says something like ‘Oral-B Glide’, ‘similar to Glide’, ‘compare to Glide’, then it is almost certain to be made with PTFE. Users agree! 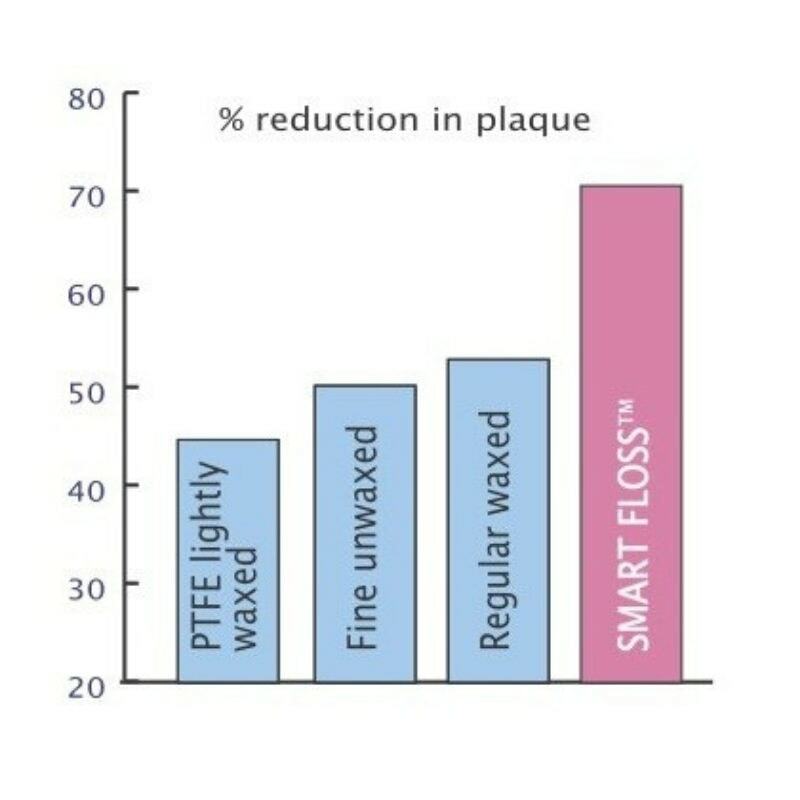 There’s no other floss quite like Smart Floss! It expands into interdental spaces for better removal of plaque and food particles. 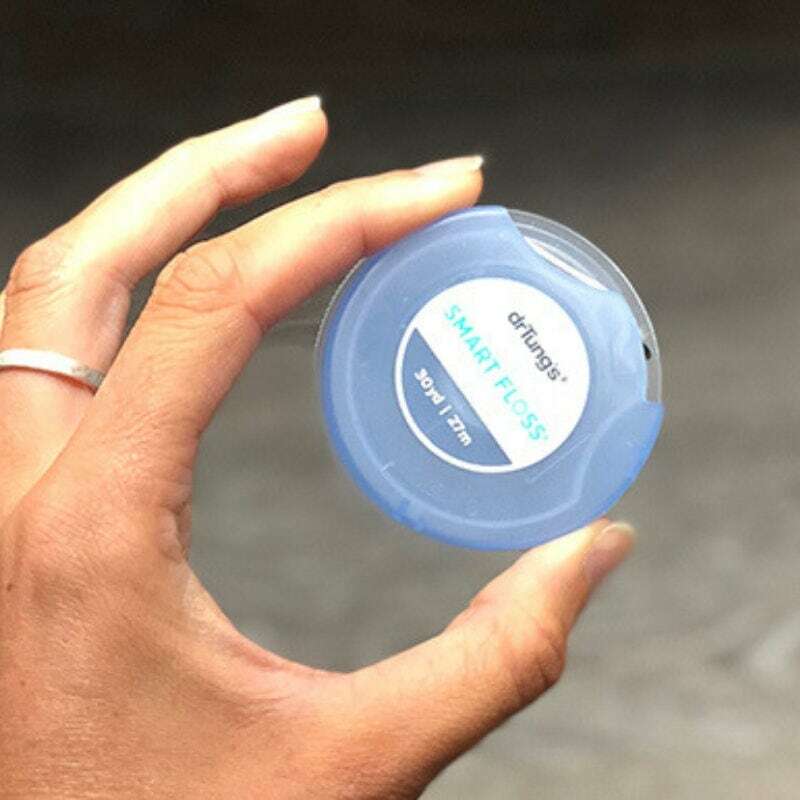 This high-performance floss is suitable for everyone – people with tight spaces, wider spaces…even braces. Natural cardamom flavor for a vibrant fresh feeling! f you’re flossing, you should be using the most effective and non-toxic floss available. What’s more, some ingredients in our flosses – such as cardamom (Smart Floss), and curcuma xanthorrhiza (Activated Charcoal Floss) are said to have antibacterial effects. So switch to DrTung’s for comfortable, safe and effective flossing! Dieser Eintrag wurde veröffentlicht am Beauty Tipps, Wilma. Setzte ein Lesezeichen permalink.